Did chaos cause mayhem in Jurassic Park? Suppose that we want to predict the future state of a system — the weather, for example — that is sensitive to initial conditions. We could measure its current state, and then iterate the system’s governing function on that seed value. This would yield an answer, but if our measurement of the system’s current state had been slightly imprecise, then the true result after a few iterations might be wildly different. Since empirical measurement with one hundred percent precision is not possible, this makes the predictive power of the model more than a few time-steps into the future essentially worthless. Chaos: When the present determines the future, but the approximate present does not determine the approximate future. Chaotic dynamics have been observed in a wide range of phenomena, from the motion of fluids to insect populations and even the paths of planets in our solar system. I’m doing something that I should have done a long time ago: collect past series of posts into a single, easy-to-reference post. The following posts formed my series on the different definitions of that appear in Precalculus and Calculus. Part 2: Pedagogical thoughts on justifying the discrete compound interest formula for students. Part 3: Application of the discrete compound interest formula as compounding becomes more frequent. Part 4: Informal definition of based on a limit of the compound interest formula. Part 5: Justification for the formula for continuous compound interest. Part 6: A second derivation of the formula for continuous compound interest by solving a differential equation. Part 7: A formal justification of the formula from Part 4 using the definition of a derivative. Part 8: A formal justification of the formula from Part 4 using L’Hopital’s Rule. Part 9: A formal justification of the continuous compound interest formula as a limit of the discrete compound interest formula. Part 10: A second formal justification of the continuous compound interest formula as a limit of the discrete compound interest formula. Part 11: Numerical computation of using Riemann sums and the Trapezoid Rule to approximate areas under . Part 12: Numerical computation of using and also Taylor series. I’m doing something that I should have done a long time ago: collect past series of posts into a single, easy-to-reference post. The following posts formed my series on how the different definitions of logarithm are in fact equivalent. Part 1: Introduction to the two definitions: an antiderivative and an inverse function. Part 2: The main theorem: four statements only satisfied by the logarithmic function. Part 3: Case 1 of the proof: positive integers. Part 4: Case 2 of the proof: positive rational numbers. Part 5: Case 3 of the proof: negative rational numbers. Part 6: Case 4 of the proof: irrational numbers. Part 7: Showing that the function satisfies the four statements. Part 8: Computation of standard integrals and derivatives involving logarithmic and exponential functions. This article discusses ways in which improvisational comedy games and exercises can be used in college mathematics classrooms to obtain a democratic and supportive environment for students. Using improv can help students learn to think creatively, take risks, support classmates, and solve problems. Both theoretical and practical applications are presented. Recounting one of the stories included in his book How Not to Be Wrong: The Power of Mathematical Thinking, Jordan Ellenberg (University of Wisconsin-Madison) tells how a group of MIT students exploited a loophole in the Massachusetts State Lottery to win game after game, eventually pocketing more than $3 million. A personal note: though I haven’t talked with him in years, Dr. Ellenberg and I were actually in the same calculus class about 30 years ago. This student submission comes from my former student Jessica Trevizo. Her topic, from Precalculus: graphing the sine and cosine functions. For this activity students can either work with a partner or work individually. I enjoyed this activity because students are able to derive the sine and cosine functions on their own using fun materials other than the original paper and pencil. The knowledge that students should gain from this activity is the relationship between the unit circle and the sine/cosine function. Along with this activity, students will be practicing previous concepts learned such as converting degrees to radians, finding the domain/rage, and finding the x-intercepts and y-intercepts. Also, amplitude, period, and wavelength are important vocabulary words that can be introduced and applied to the parent functions. To complete the activity assign the students to write a paragraph comparing and contrasting both functions. In their paragraph make sure students include a discussion of the intercepts, maxima, minimum, and period. It is essential for the students to know how to graph the parent functions of sine and cosine and where they come from before teaching the students about the transformations of the functions. 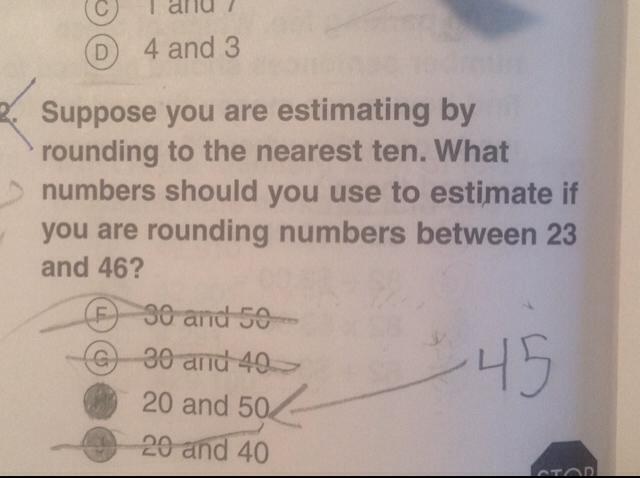 A.1 What interesting word problems using this topic can your students do now? Real life word problems that involve the sine and cosine function can be used to keep the students engaged in the topic. Both of the functions can used to model situations that occur in real life in a daily basis such as; recording the path of the electric currents, musical tones, radio waves, tides, and weather patterns. Here is an example of a word problem, “Throughout the day, the depth of the water at the end of a dock in Bar Harbor, Maine varies with tides. 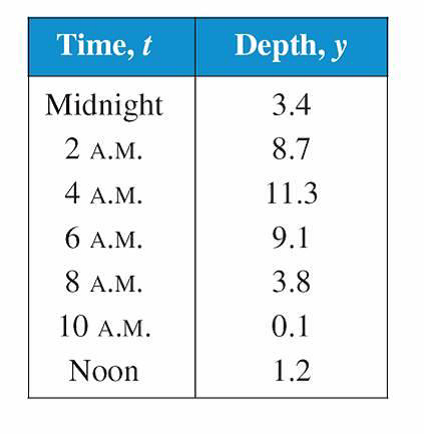 The table shows the depths (in feet) at various times during the morning.” With the data provided the students are able to do several things such as: be able to use a trigonometric function to model the data and find the depth of the water at any specific time. Also, if a boat needs at least 10 feet of water to moor at the dock, the students should be able to figure out safe dock times for the boat. Most of the students are familiar with sound waves. As an engage go to www.onlinemictest.com and have the students observe the sound waves that appear on the screen as you speak. Many students will recognize the various sine and cosine functions on the screen. With the online mic test students are also able to make relationships between the sound and the wave. Download several different tones and play them so the sound waves of the tones appear on the screen. Have the students sketch the graph of a soft high note, soft low note, loud high note, and a loud low note. The following graphs should look similar to the figure below. Once all of the students have recorded their own observations have the students work with a partner to compare their graphs. Also give the students a minute or two so they can compare and contrast the 4 different graphs by using the new vocabulary that they learned such as amplitude and period. Students are able to remember the new vocabulary when they have opportunities to have discussions that require them to use them. There’s no sense having a debate about standards for elementary mathematics if textbook publishers can’t construct sentences that can be understood by elementary students (or their parents). This student submission comes from my former student Daniel Littleton. His topic, from Precalculus: compound interest. In a publication entitled Business Insider, Sam Ro published an article entitled “Every 25 Year Old In America Should See This Chart” on March 21, 2014. In this article Ro stated that in past times companies would offer pension plans to long term employees in order to support them in retirement. He goes on to state that in modern times employees need to contribute to retirement plans such as a 401K or an IRA in order to save for retirement. These plans function by the mathematical principle of compound interest. While the mechanics of compound interest are not presented in the article an illustration is shown how individuals who save their money through this formula accumulate a greater amount of money over time. 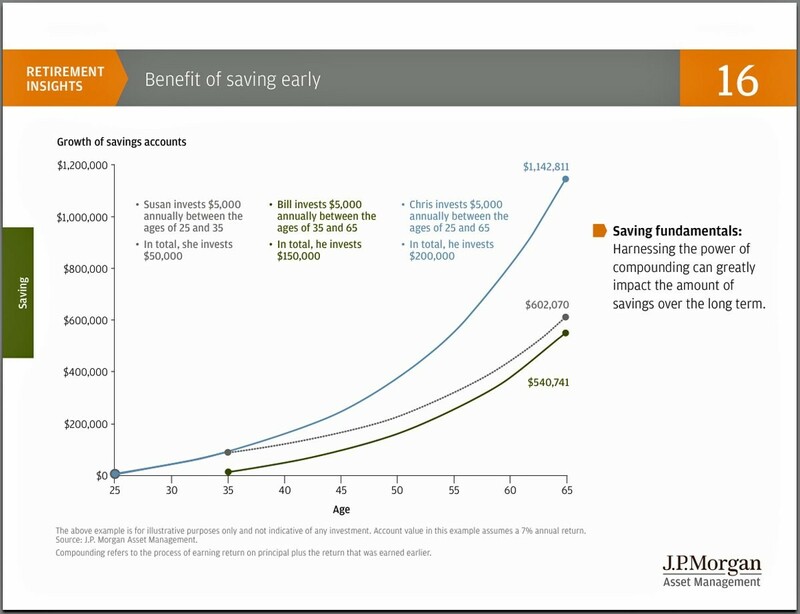 He even presents a situation in which one individual can save money for a less amount of time than another and still accrue a greater total amount of savings because of compound interest. This illustration, presented below, can be a useful tool in engaging students in the possibilities that compound interest could have in their own futures. This information was collected from the following web page on Friday, April 04, 2014; http://www.businessinsider.com/compound-interest-retirement-funds-2014-3. Compound interest is introduced at the Pre-Calculus level of secondary education. At the Post-Secondary Education level compound interest is a concept that is included in several areas of study. For example, students that wish to study business will need to have a mastery of compound interest. Additionally, those studying finance or economics will constantly use the principle of compound interest in their computations. Not only does this formula come into play in the mathematics of monetary systems, but also in the workings of political science as well. Those that wish to pursue political aspirations will need a firm understanding of economics and the means by which funds can be grown over time. As is evident, compound interest is a mathematical formula, but like many realms of mathematics it affects multiple realms of interest and practice in a real world environment. There are an innumerable amount of problems that can be presented to students involving compound interest. One could deal with the monetary worth of valuable or precious items. For instance, “A necklace is appraised at $7200. If the value of the necklace has increased at an annual rate of 7.2%, how much was it worth 15 years ago?” This question is asking the student to solve for the original principle of the necklace, rather than the accrued value which is given. Another problem could be “A sum of $7000 is invested at an interest rate of 7% per year. Find the time required for the money to double if the interest is compounded quarterly.” This problem requires the student to determine the amount of time necessary for the investment to yield the desired amount. These are only two problems that I have presented that will allow the students to practice the concept of compound interest. There are undoubtedly multiple others that could be written with the same effect.